October 7 is the date selected to hold its corporate volunteer day. 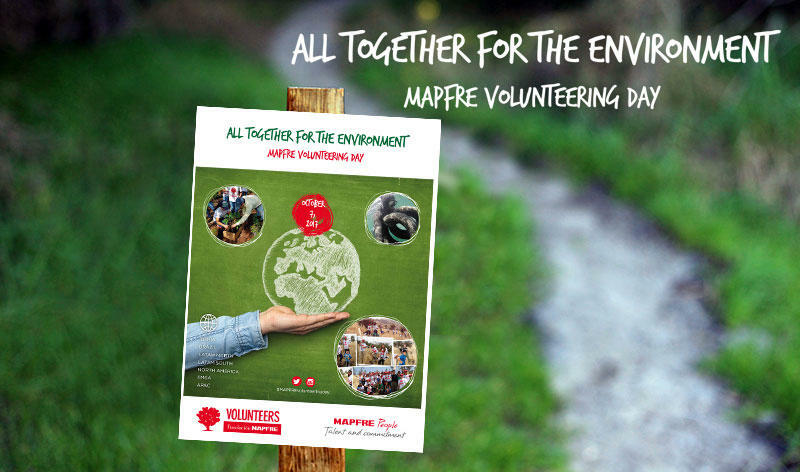 Tomorrow, October 7, MAPFRE will hold its first corporate volunteer day under the slogan “All together for the environment”. Volunteers from 24 countries will take part in different charitable activities including reforestation, cleaning rivers and beaches and maintaining parks and trails, all with the aim of helping the conservation of our planet, today an issue of world concern. In Malta, for example, MAPFRE volunteers will take part in planting trees, and one of the standout initiatives in Brazil is the building of a vertical garden in a school so the children can not only learn and raising their awareness, but can eat the food they have planted. In the US the participants will help clean reservoirs and hiking trails, among other projects, and in Spain there will be activities in various provinces where employees will do their bit by planting trees and medicinal plants, cleaning reservoirs and collecting garbage. A total of almost fifty activities are organized for this day, when almost 1,000 volunteers will enthusiastically join in with the various associations working every day for the environment. The MAPFRE corporate volunteering program is implemented through the Fundación MAPFRE VOLUNTEERS Program. For the company, corporate volunteering is aligned with the group’s strategy and with our employees own commitment and vocation for service.